Sundays are for naps, catching up on todo lists, and a good dose of eye candy. 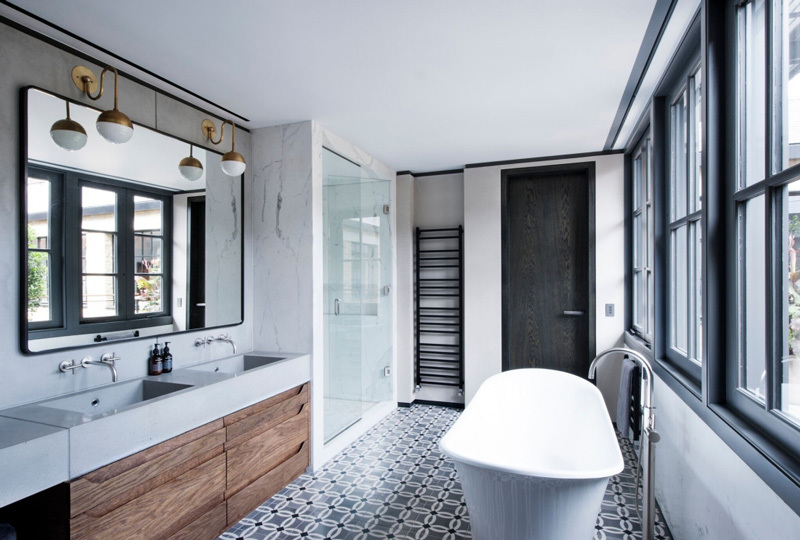 I was browsing through some interior inspiration posts I had bookmarked, and a drop dead gorgeous home in Primrose Hill, London provided some epic and definite eye candy. 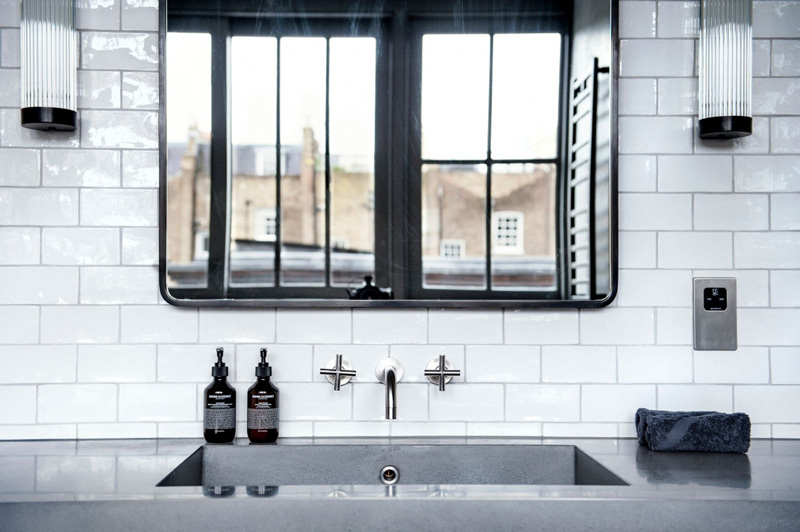 Besides a perfect London location, a stunning kitchen, private courtyard and a whole lotta loveables, it was especially the killer bathroom that had me salivating! Straight into my inspiration folder it went for my big bathroom -redo project when we move houses in the future! 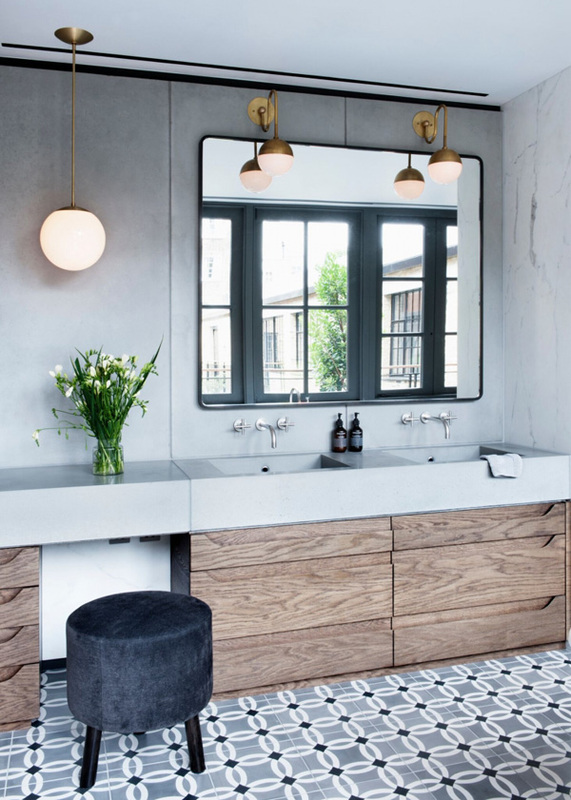 Clean, streamlined, white and grey, that much I knew I loved, but those brass fixtures, oh those brass fixtures… It’s Sunday, I’m in love!